The thrilling new Virgil Flowers novel from the #1 New York Times-bestselling author. The superstore chain PyeMart has its sights set on a Minnesota river town, but two very angry groups want to stop it: local merchants, fearing for their businesses, and environmentalists, predicting ecological disaster. The protests don't seem to be slowing the project, though, until someone decides to take matters into his own hands. The first bomb goes off on the top floor of PyeMart's headquarters. The second one explodes at the construction site itself. The blasts are meant to inflict maximum damage-and they do. Who's behind the bombs, and how far will they go? It's Virgil Flowers's job to find out . . . before more people get killed. 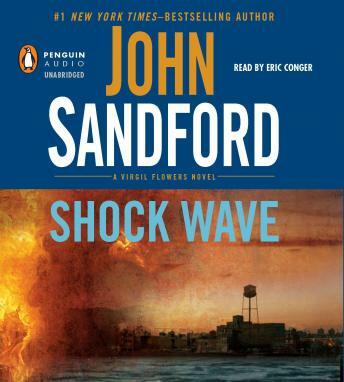 This was my first introduction to John Sandiford and the character of Virgil Flowers. I loved it. It kept my attention through the whole book, and there is enough dry humor in the book to keep it from getting too dark.